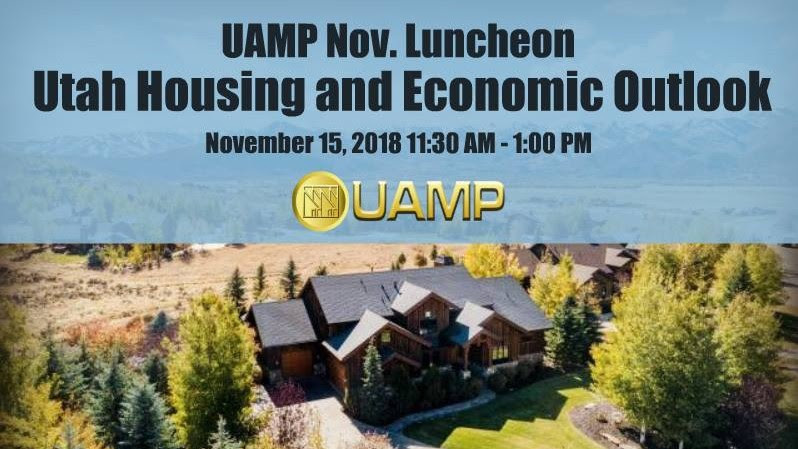 UAMP's November 2018 Luncheon will be held Thursday, November 15 at Noah's, 322 West 11000 S in South Jordan, Utah from 11:30 a.m.-1:00 p.m.
►What is Utah's economic forecast? ►How is the market change going to affect housing projections in Utah? ►Will the rise in interest rates have an effect on the mortgage industry in Utah? You don't want to miss this information! Josh Romney is the Founder and President of The Romney Group, which owns and operates multifamily, office, and industrial properties throughout the U.S. Josh serves as President of Charity Vision International, which partners with local doctors in developing nations in an effort to establish sustainable eye care programs. The organization currently performs over 80,000 surgeries annually in 28 different countries. Josh also serves as a Board Member of Shelter the Homeless, which is a non-profit organization focused on helping families and individuals facing homelessness in the Salt Lake City area. He also serves as an Executive Board member at the Romney Institute at Brigham Young University and as a Board Member of the Kem C. Gardner Policy Institute at the University of Utah.